Don’t know if you have access to KQED Passport? Use PBS Member Lookup to find out. KQED Passport is a member benefit that gives eligible donors and supporters extended access to an on-demand library of quality public television programming online. The KQED Passport library currently offers members more than 1,000 episodes to watch, with new PBS and KQED programs being added weekly. 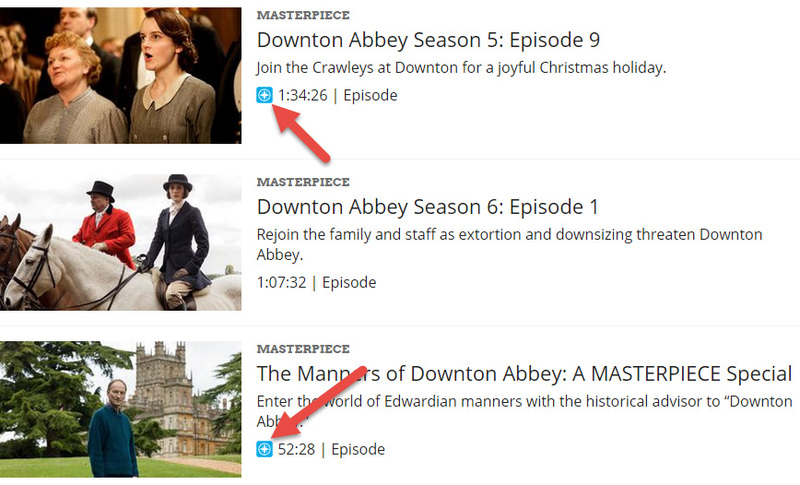 The library features episodes from popular programs like American Experience, American Masters, Antiques Roadshow, Nature, NOVA, and Masterpiece — including all five seasons of Downton Abbey. In addition to these signature series, the library is full of public television’s acclaimed arts, science, history, and lifestyle programs; including How We Got to Now, Earth a New Wild, Austin City Limits, and a rotating selection of films from Ken Burns — currently Jazz and Unforgivable Blackness: The Rise and Fall of Jack Johnson are available. Who can access KQED Passport? KQED Passport is an added benefit available to members donating $60/year or more. If you have questions as to your donation or eligibility for this benefit, please email member@kqed.org. You can also visit pbs.org/passport/lookup/ and see if you already have access. I would like to activate KQED Passport with my current membership. How can I do that? If you’re already a KQED member, please visit pbs.org/passport/lookup/ to access your KQED Passport token information. If you receive an error or run into trouble using this form, please submit a request to receive Passport. If you do not currently contribute, please become a member and receive access to KQED Passport. Alternatively you can call KQED Membership Services at 415-553-2150. What programs are available in KQED Passport? The KQED Passport library currently offers members more than 1,000 episodes to watch, with new PBS programs being added weekly. The library features episodes from popular programs like American Experience, American Masters, Antiques Roadshow, Nature, NOVA, and Masterpiece — including all five seasons of Downton Abbey. In addition to these signature series, the library is full of public television’s acclaimed arts, science, history, and lifestyle programs; including How We Got to Now, Earth a New Wild, Austin City Limits, and a rotating selection of films from Ken Burns — currently Jazz and Unforgivable Blackness: The Rise and Fall of Jack Johnson are available. Do I need any special devices to use KQED Passport? No. You can view Passport videos from PBS.org and local station sites on your computer, smartphone and tablet. It is also available via the PBS Video apps for iOS, Android, Apple TV, Roku, Chromecast and other streaming devices. We will expand access to additional devices and platforms over time. For all technical issues, please visit PBS Help, submit a ticket or call 415-942-8804. Do I have to activate KQED Passport if I don’t want to? No. It is up to you to decide whether or not to activate KQED Passport. You can still watch plenty of videos on your computer, smartphone and tablet without it. KQED Passport offers station donors extended on-demand access to a rich library of quality public television programming. If I do not have KQED Passport, will I still be able to watch programs on PBS.org and KQED.org for free? Yes. Free is not going away. Many of our programs are available for free on various digital platforms including PBS.org, our mobile applications, and the PBS channels on Roku, AppleTV and other streaming services. And of course, PBS programs will continue to be broadcast to the public, for free, over the air. How can I find KQED Passport content? After activating your KQED Passport account, you can view KQED Passport content on your computer, iPhone and iPad, as well as on the PBS channel on Apple TV. All KQED Passport content is designated by an icon . All videos displaying that icon are available to KQED Passport members only. I can’t find my favorite PBS show in KQED Passport. Why not? Initially, close to a thousand hours of KQED programming across multiple genres including drama, science, history, natural history and the arts will be available in KQED Passport. This library of content will continue to grow over time as more titles are added — so please keep checking back. Is KQED Passport available outside the U.S.? All PBS streaming video — KQED Passport included — is only available within the United States. Find answers to more Passport questions in our Help Center.